You are here: Home › What are 076 numbers? What’s the cost implications of calling 076 numbers? What are 076 numbers? What’s the cost implications of calling 076 numbers? I have been lately waging my own battles with some government bodies over their use of non-geographic numbers and have come across the latest scam called 076 and 0761 numbers. I’m not sure it’s a “scam” as such, but 076 numbers are now an issue for mobile phone users in the same way as 1890, 1850 and 0818 numbers are. The costs are upwards on 30c per minute, but more particularly calls to 076 numbers are in most cases not deducted from minute bundles on mobile phone contracts. This is despite the fact that the introduction by such government departments was intended to reduce call costs for customers. While there are a number of organisations who do provide an 076 contact number, it was likely when the Water Conservation Grant Section provided one last year that most people encountered an 076 number for the first time. What is an 076 Number? 076 is the prefix originally by designated by COMREG for use when calling VOIP phones. VOIP, or Voice over Internet Protocol is effectively making telephone calls over the internet. You don’t have to be on the internet yourself when you’re calling a VOIP 076 number – you can call from any regular landline or mobile phone. And these days, you don’t necessarily need to be dialling an 076 number to call someone who’s using a VOIP service. The key thing here is that given the distinction made by COMREG for the 076 numbers, mobile phone companies are using the number as a loophole (similar to 1890, 1850 and 0818 numbers) to boost their earnings. In most cases, you’ll see companies who use 076 numbers explaining that calling such a number will cost the same as a local call. In the same way that providers of 1890 LoCall numbers will say the same thing. The key difference here, and what’s being left out, is “from an Eir(com) landline”. That’s how costs for 1890 numbers originated, and it’s now how 076 numbers are being priced. But as we all know, similar to calling an 1890 number from your mobile, you’re most likely charged the equivalent of a mobile to mobile call. And what’s of more pain and inconvenience, in most cases, calls to 076 numbers are not deducted from your minutes bundles on your mobile phone contract. The mobile provider 48 is the most expensive for calling an 076 number, at 50c per minute. The cheapest that I can work out is with Meteor (either Pre-Pay or Bill-Pay). In both those cases, the cost is flagged as the same as their normal minute rate, which is 15c per minute. Similarly, Vodafone Pre-Pay and Bill-Pay price plans indicates that it’s the same cost as a normal call on a mobile to call an 076 number. Neither Meteor nor Vodafone deduct 076 minutes from your free minutes bundles. As I’m sure you’re aware, it’s not always easy to find out this information given the variety of phone packages, and phone costs, and peak and off-peak – you’d almost think that your mobile provider didn’t want you to know. In fact, there is no information anywhere for any of the Three Mobile plans on how much it is to call 076 numbers. Finally, Tesco Mobile will charge you 30c per minute to call an 076 number – on the more expensive end of the scale. But, but, on a more positive twist, they’re the only company to deduct 076 minutes from their free minutes bundles on Pre-Pay and Bill-Pay contracts. Basically we need to treat 076 numbers the same as 1890, 1850 and 0818 numbers. That is, as much as possible, we need to hunt down and share geographic alternatives for 076 numbers. So, if you have geographic alternatives for these numbers already, please let me know and I’ll update the website so others can benefit. Alternatively, if you know of other 076 numbers and other geographic alternatives, please contact me here and I’ll update the website. 8 Responses to What are 076 numbers? What’s the cost implications of calling 076 numbers? The but but re Tesco and 076 from bundles. They are no longer taken from bundles. Tesco rep told me today they could no longer afford to include it in bundles. So the last network has fallen. So unless you have extra credit over and above your bundles subscription you simply cannot Call 076….from mobiles. All those government agencies and services including the HSE ARE off limits. They should be ashamed if themselves!!! I had to top up my mobile today just to call the HSE and the call cost me 5 euro……they need to be taken to task on this. Only in Ireland!!!!! This corruption is no less than a lousy ‘numbers racket’! – legalised extortion- with the approval of a degenerate government. This corruption should be made an election issue – in the near future, I hope. 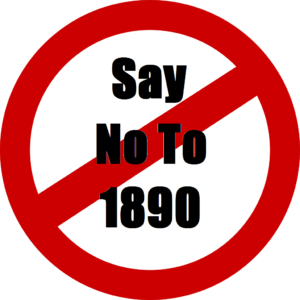 Recently, Electric Ireland refused to do business with a customer who rang them on a line other than their lucrative 1850 number – and insisted that the 1850 number had to be used! Despite severe pressure, Electric Ireland staff steadfastly refused to do business, stating that they would “get in trouble” if they accepted the non 1850 call! Needless to say, as a result of this spineless conduct, Electric Ireland lost a good, prompt-paying customer! If they can afford to lose such a customer, the 1850 rip-off must be very lucrative indeed! Just to confirm, I don’t believe that 1850 numbers are in any way “lucrative” for companies who supply them – in that, they don’t earn money from people dialling them, as companies could by providing 0818 numbers. There are, obviously cost implications in providing 01, 1890 or 1850 numbers. I don’t know for sure, but I suspect that it’s cheaper for companies to provide an 1890 number, and comparatively speaking, they’ll incur additional costs by providing an 1850 number. (Am open to correction on that, however). You say: “076 is the prefix used for calling VOIP phones.” – this whole section should be removed as it is non-sense. Loads of numbers in other blocks are now carried as VOIP all the way through to their destination, or to a local provider. Indeed, there are voip providers giving out normal geographic numbers. Finally, that is not the purpose or intent behind 076. While 076 is a right mess generally, you should remove that section about VOIP. What you are saying is nonsense. “originally” added to provide correction. I’ve just rung the gate1.ie help line on 076 888 8914 using the Skype app (I have a monthly subscription). Gate1 are based in Holland. I was on to them for 4 minutes and the cost was zero. 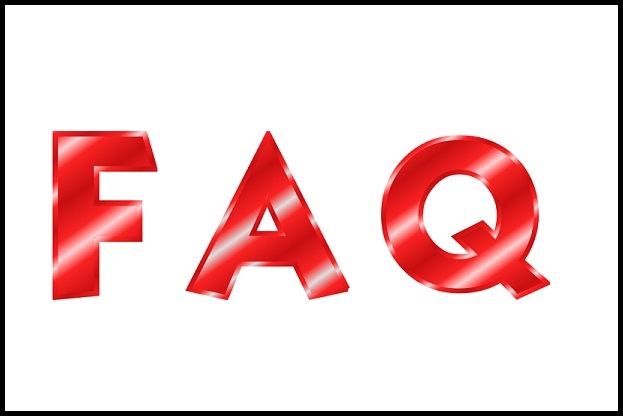 076 numbers are charged at your standard rate on a mobile – anything usually from 20c to 35c per minute. Many people on bill pay have free landline calls now, but 076 are not included in this, which can be surprising to many people. Had an issue with Eir they charge for 087 calls from my landline. They did refund after the logic of charging for this call was put to them. They said they are not included in Eir unlimited bundle for national and local calls, even though it was a national call. They initially billed me for Euro 1.10 for 7 Minute call. Another provider charged me 7 euro cent. for the same call. Therefore Eir. charged just under 16 times more. This is almost 1600% difference. These charges do not reflect the cost of providing the service. Comreg needs to get a set of ”teeth” and bite hard with these companies. The soft approach is not working with companies like Eir (Other companies charge similar or higher prices). Real VOIP calls are so much cheaper. DO NOT CALL 076 numbers use an alternative.